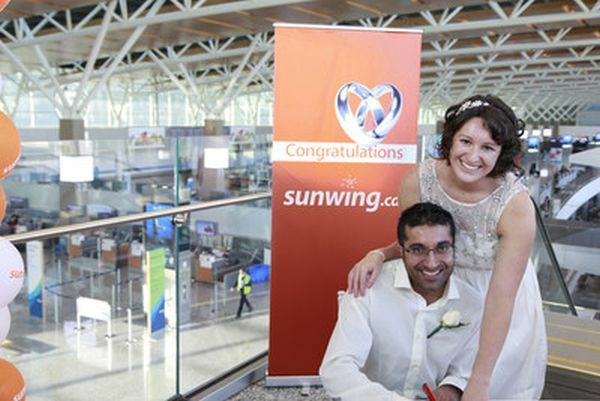 It happened at Calgary International, where Fareed Rawji and Jeannine Beck managed the unusual feat of arriving single but boarding their aircraft married. They thus became the first to have a wedding in YYC’s new International Terminal, helping them to accomplish their goal – a ceremony their guests would truly remember. We don’t know the direction their flight took, but we hope it was into sunshine.